Politics in the Republic of Ireland is now available in a fully revised fifth edition. Building on the success of the previous four editions, it continues to provide an authoritative introduction to all aspects of politics in the Republic of Ireland. Written by some of the foremost experts on Irish politics, it explains, analyzes and interprets the background to Irish government and contemporary political processes. 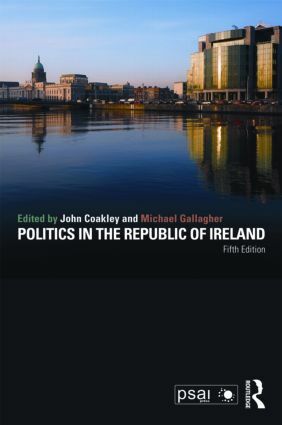 Bringing students up to date with the very latest developments, Coakley and Gallagher combine real substance with a highly readable style, providing an accessible textbook that meets the needs of all those who are interested in knowing how politics and government operate in Ireland.